It's this just so sweet? Maven Jules shares this lovely layout with a fun cluster of embellishments on the left and I love the pleating under the circle. So fun! "Too" darling! Great sketch for you since you often wrap the title around the photos. 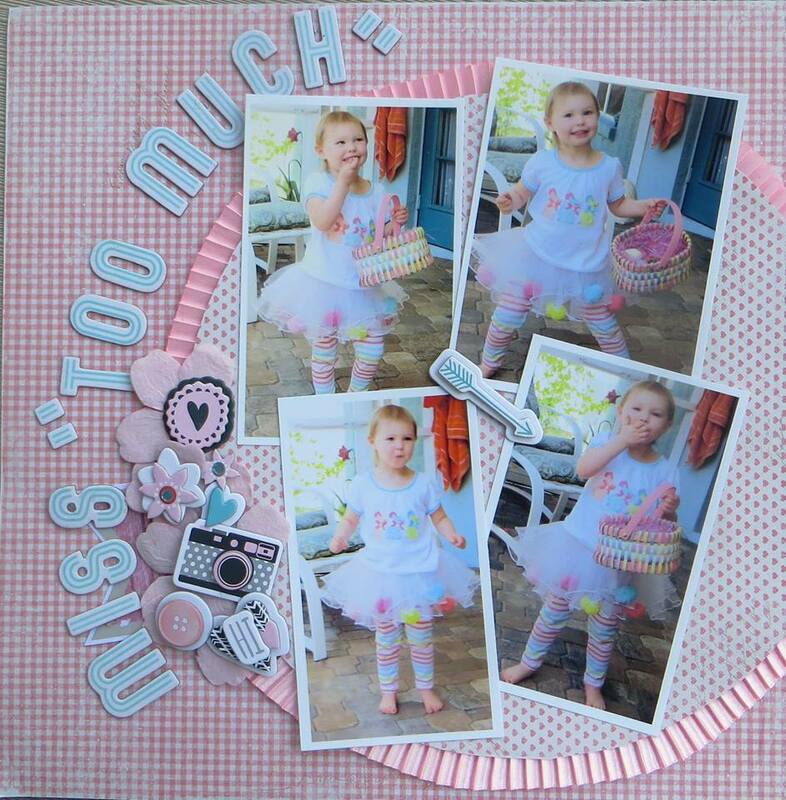 And this one is terrific with the cluster and the tiny print papers.